Two engineering professors have been selected to serve on a newly created university committee to promote diversity and inclusion at Vanderbilt. Chancellor Nicholas S. Zeppos announced 15-person committee to work on issues of inclusion, diversity and community during his bi-annual address in August to the Faculty Assembly. It will be co-chaired by Keivan Stassun, professor of physics and astronomy and senior associate dean for graduate education and research in the College of Arts and Science, and Beverly Moran, professor of law and sociology. 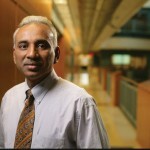 Sankaran Mahadevan, John R. Murray Sr. 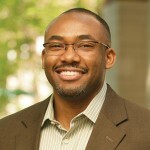 Professor of Engineering and professor of civil and environmental engineering, and William Robinson, associate chair of the Department of Electrical Engineering and Computer Science and associate professor of electrical engineering and computer engineering, will serve on the committee. In addition, three new chairs promoting diversity and inclusion also mark the start of a significant new effort at Vanderbilt University, Zeppos said. The new John L. Seigenthaler Chair in American History, funded by a gift from the James Stephen Turner Family Foundation, will support a faculty member in the College of Arts and Science and will have a focus on civil rights and the civil rights movement. The Dorothy J. Phillips Chair to Support Diversity in STEM will encourage minority participation in science, technology, engineering and math. The Levi Watkins Jr., M.D. Chair will be awarded to a medical school faculty member who is a leader in diversity.